The Swannanoa River runs in western North Carolina from the town of Black Mountain to Asheville. It is where I live now, and it is spring. 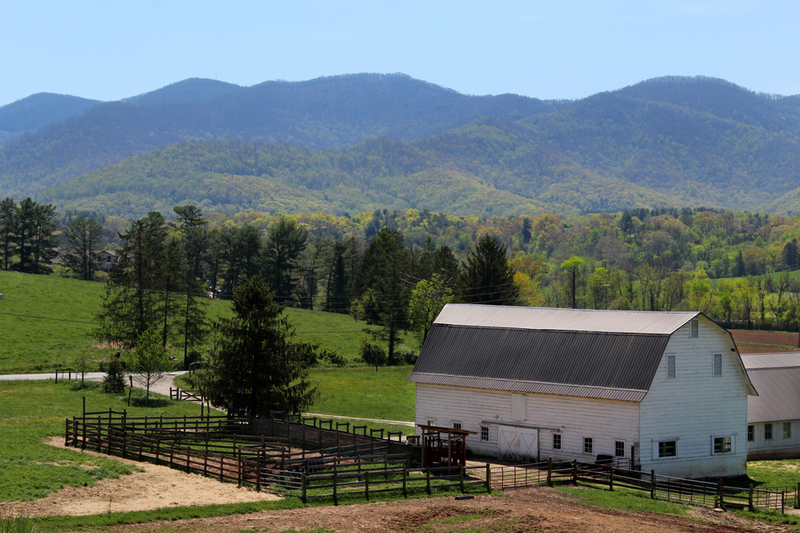 As I drive through the valley, with the Swannanoa Mountains directly to the south and, further north, in the distance, the lofty Black Mountains — the highest east of the Mississippi — the lower slopes of the Swannanoas are green, the bright green of early spring. 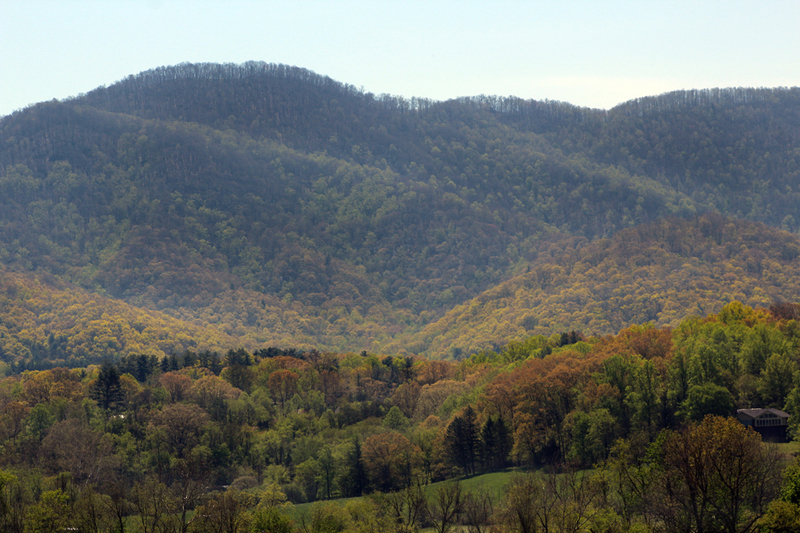 The mid slopes are what Robert Frost wrote about: “Nature’s first green is gold, her hardest hue to hold.” And the tops of the peaks are still the dusky grey-black of winter. You can see spring climbing up the mountains. The green-line moves fast; a few days ago, it was all grey. Tomorrow, the line will be hundreds of feet higher up the slope, chewing up the grey, until it is all consumed in green. 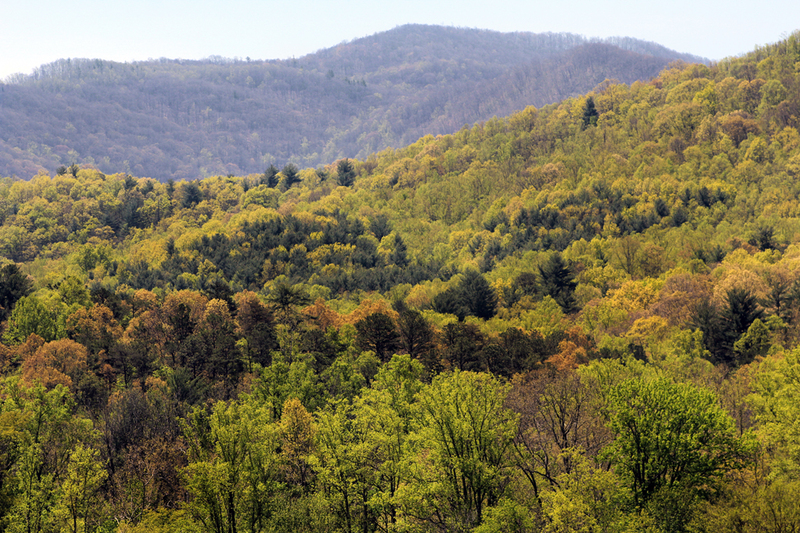 In their half-world, the hills look almost iridescent, the way draped satin will pick up the highlights and shimmer. And all the while, I have Mahler’s Third playing and — I didn’t plan this; it’s just what was in the CD player — the first movement culminates in a great joyous march that is meant to describe the triumphant return of spring; all the animals and plants, all the hills and rivers are marching in procession like Mummers. It was overwhelming. I almost had to pull over and stop. Luckily, I hit a traffic light. I could steal a look to the left and soak in the iridescence and the utter, unutterable beauty of it all. De Welt is schoen. I will be heartbroken to leave it when my time comes. It used to be that January turned to February and February turned to March — and so on. Then, as I got older, it was January-July-January-July. Now, it is January-January-January. I don’t know why time speeds us so in senescence. I think, May is so far off, I don’t have to decide anything yet, then, all of a sudden, it is May again. The earth spins around the sun like a propeller. It never stops; it only speeds up. Existence is not a thing but a process: nature is a verb, not a noun. It is never the same river; it is always the same flow. The green climbs up the hillside; my years shrink in front of me. I have now seen countless leaves sprout, green, shrivel and fall, and countless lives. The loss builds up and each spring slightly more wistful, more sad and the joyful march of plants and animals, hills and rivers deeper and more grief-laden. All rolled up into a single procession, full to bursting. Die Welt ist tief; tief ist ihr Weh.